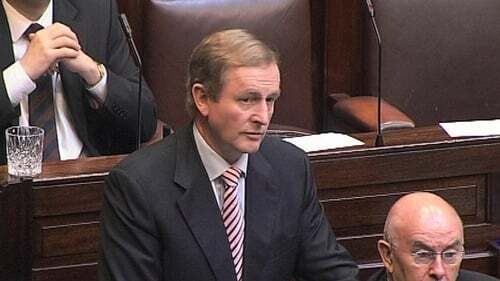 Taoiseach Enda Kenny has confirmed that the holders of Approved Retirement Funds will not be subject to the Government's pension levy announced this week. Most holders of ARFs are high earners or self-employed people who have retired in recent years. Mr Kenny said ARFs were not considered pension funds, and such funds were not free of tax. Leader of the country's biggest trade unions - Jack O'Connor of SIPTU - said he has grave reservations about the private pensions' levy, which he said was not the best way to utilise such funds. Commenting on the revelations about ARFs, Mr O'Connor said that the possibility of wealthy people availing of a loophole to avoid the planned new pensions' levy would destroy the prospect of it being accepted by broader society. 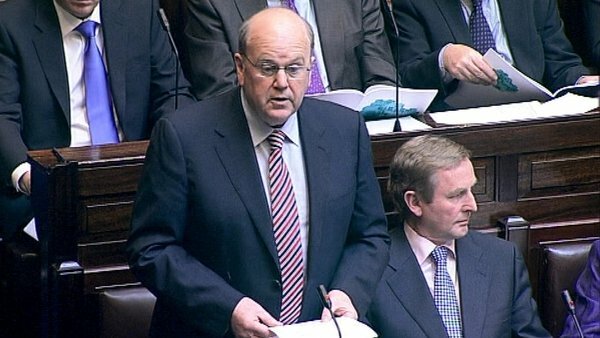 Finance Minister Michael Noonan told the Dáil this afternoon that the idea of a levy on pension funds had been suggested by the industry itself, in return for retaining tax relief on pension contributions. He said would be discussing the planned levy with the industry, and would ask why a levy of 0.5% was such a good idea before Christmas, and now a 0.6% would cause the sky to fall in. Separately, Minister for Communications Pat Rabbitte has launched an attack on the Opposition for its criticism of the Government's jobs initiative. Contributing to the Dáil debate on the initiative, Minister Rabbitte said Fianna Fáil should stick to what it knows best - 'corporate donations' - and stay quiet on the economy for at least 40 years. He said the party had expressed shock at the new pension levy when it had 'cleaned out' the Pension Reserve Fund to help its friends in Anglo Irish Bank. Fianna Fáil TD Barry Cowen said despite all the u-turns and climb downs, the Government had attempted to deliver on one policy but could not do it. Mr Cowen said when the minister described the jobs initiative as modest, the warning signs were there. He said the Government had resorted to the mantra of 'straitjacket with the red rose'. Socialist Party TD Clare Daly called the initiative a mixed bag of uncoordinated policies with no cohesion on addressing the jobs crisis. She described it as a furtherance of policies already in existence, which offered not a shred of hope to the unemployed. Meanwhile, Labour TD Tommy Broughan has criticised the Government's banking policy. He compared the Taoiseach to the Captain of the Titanic, steering the country towards the iceberg of national bankruptcy. Mr Broughan said Enda Kenny was shrugging off economist Morgan Kelly's predictions of national bankruptcy, while negotiating desperately to get a 1% cut on the interest rate on the bailout. He said Ireland must have radical restructuring of its debt, which must involve a massive haircut to the ECB and bondholder debt.